Is Doing the Epley Maneuver at Home Safe? The Epley Maneuver is an effective treatment for a condition called Benign Paroxysmal Positional Vertigo (BPPV), an inner ear disorder which causes severe vertigo (dizziness). Experts believe that BPPV occurs when the calcium deposits which normally reside in surrounding structures make their way into the semicircular canals of the inner ear. The semicircular canals contain balance receptors so it makes sense that this disruption makes us dizzy. So how do you go about doing the Epley maneuver correctly and safely at home? Here are some tips to get you started. Go to an expert at first - if you've never had the Epley maneuver performed on you by a professional don't try to do it at home until you do. No video can substitute for hands-on demonstration, you need to know what it feels like to have the procedure done correctly so you know that you're doing it right at home. Don't use YouTube videos! Making sure you get a video from a reliable source is a must, anyone can incorrectly teach people how to do this on YouTube; you want expert instruction. Tell your doctor or therapist that you would like to learn how to do the maneuver at home and ask if they will teach you how. Watch the video multiple times before trying the procedure. It might help to break the process down into steps and write them down. Follow each step carefully - missing just one step in the process will lead to failure and possible injury. If possible watch the video and do the procedure with a partner like your spouse or another family member. They can help you ensure you're doing the exercises correctly, in the correct order and not missing anything. If it hurts stop and go to your doctor. If your symptoms don't get better or get worse see your doctor. Even if you are successful you still need to see your doctor on a regular basis. According to most experts, BPPV usually resolves within about 6 months. If your condition has not resolved you need to see a doctor to confirm that you're actually dealing with BPPV and that your condition has not changed or progressed. It is important to understand that it is not safe to use YouTube as a resource without a recommendation from your doctor. There are currently over 3,300 videos available on YouTube related to performing the Epley maneuver. Out of these videos, only 21 were rated as accurate by a group of neuro-otologists. Credible YouTube videos were produced from organizations like the American Academy of Neurology. Research also supports use of some commercially available products like DizzyFIX. Training devices like DizzyFix allow for visual cues or instructions as to how to position your head appropriately to move calcium deposits out of the semicircular canals. Bromwich, M., Hughes, B., Raymond, M., Sukerman, S. & Parnes L. (2010). Efficacy of a New Home Treatment Device for Benign Paroxysmal Positional Vertigo.​ Arch Otolaryngol Head Neck Surg. 136(7):682-5. doi: 10.1001/archoto.2010.105. 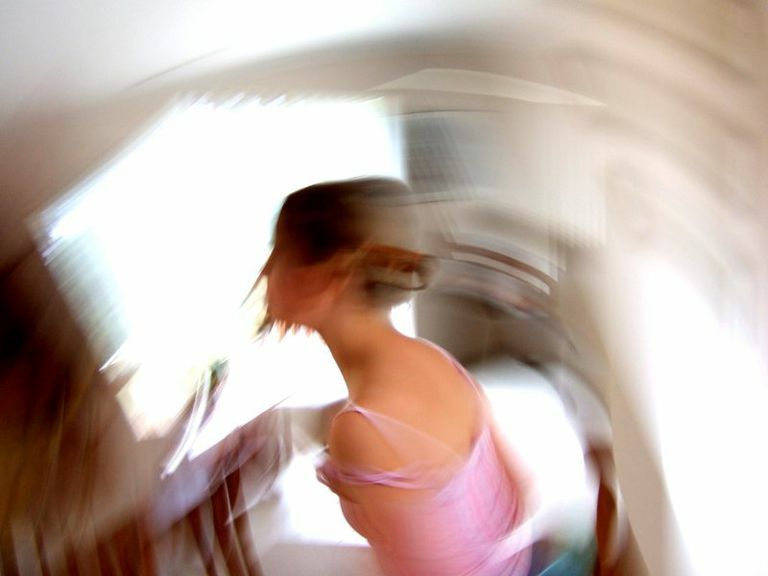 Is My Vertigo Caused by BPPV?